1. What is the last date of CTET Form 2019? 2.Who can apply for CTET 2019? 3. 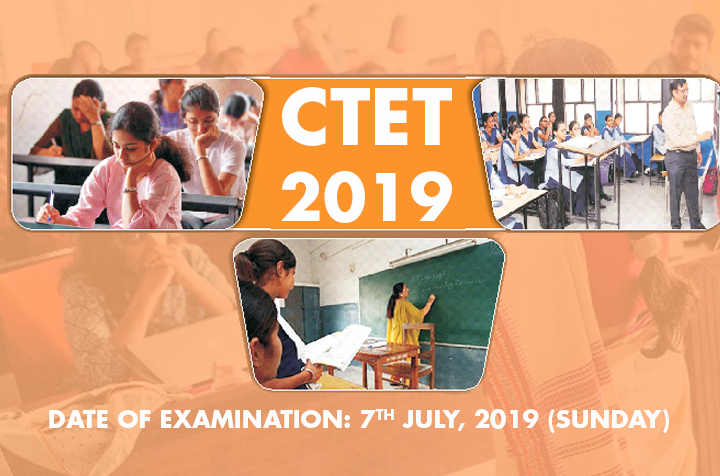 Does CTET 2019 have negative marking? Ans : No Negative Marking. 6. Declaration of Results on or before. Within 06 (Six) weeks from the date of conduct of the examination. 7. Material to be brought on the day of examination Downloaded Admit Card and valid ID Proof (any of the following) documents such as “PAN Card, Aadhaar Card, Passport, Ration Card, Voter ID Card, Driving Licence and Pen etc. 8. Rough Work All rough work should be done in the Test Booklet only. The candidate should NOT do any rough work or put stray mark on the Answer Sheet.